Black Friday 1939 – What did we learn? Nearly 80 Years Since Black Friday – What Have We Learned? 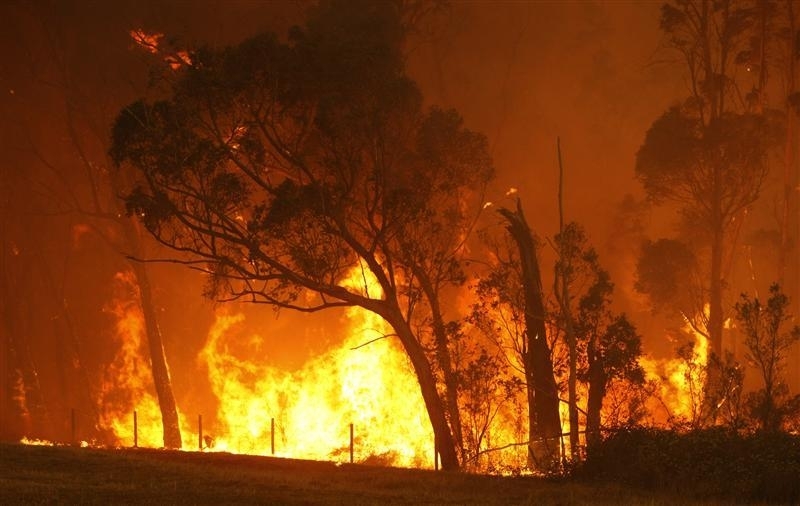 Until the fires of Black Saturday 2009, the Black Friday fires of 13 January 1939, in Victoria, Australia, were considered one of the worst natural bushfires (wildfires) in the world. Almost 20,000 km² (4,942,000 acres, 2,000,000 ha) of land was burnt, 71 people died, several towns were entirely destroyed and the Royal Commission that resulted from it led to major changes in forest management. 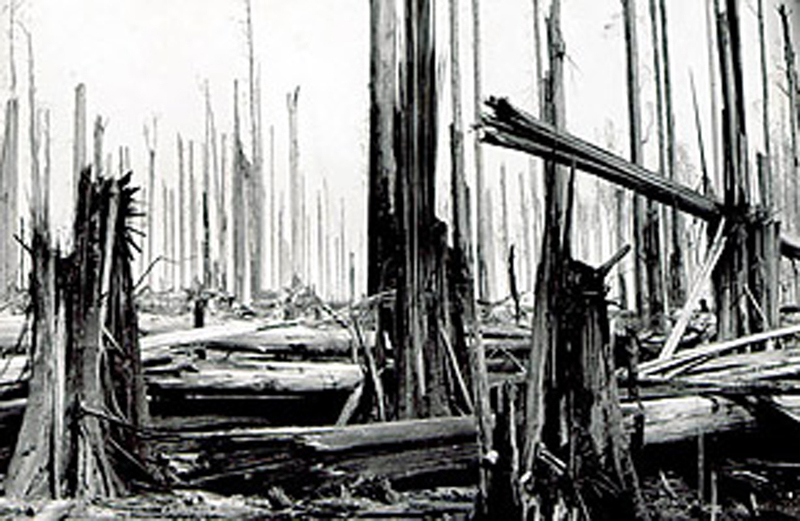 Over 1,300 homes and 69 sawmills were burnt and a total of 3,700 buildings were destroyed. It was calculated that three quarters of the State of Victoria was directly or indirectly affected by the disaster. 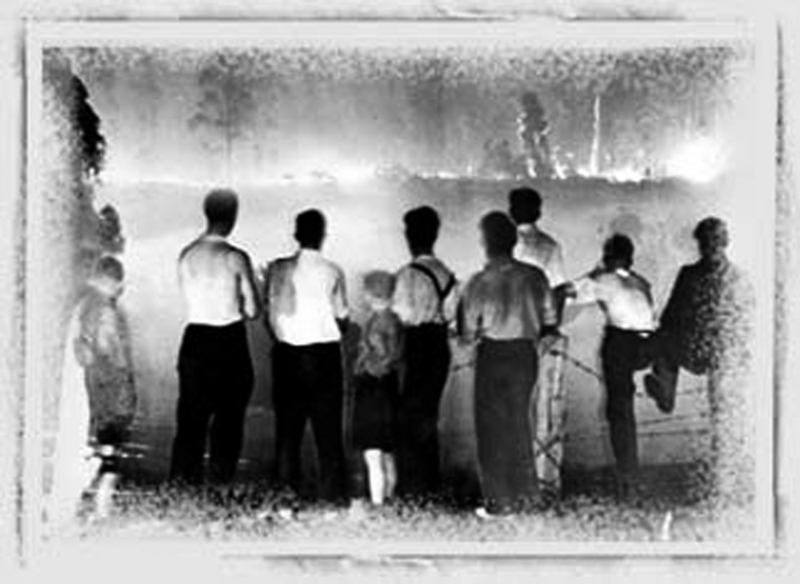 The Royal Commission into the fires was to note, “it appeared the whole State was alight on Friday, 13 January 1939”. 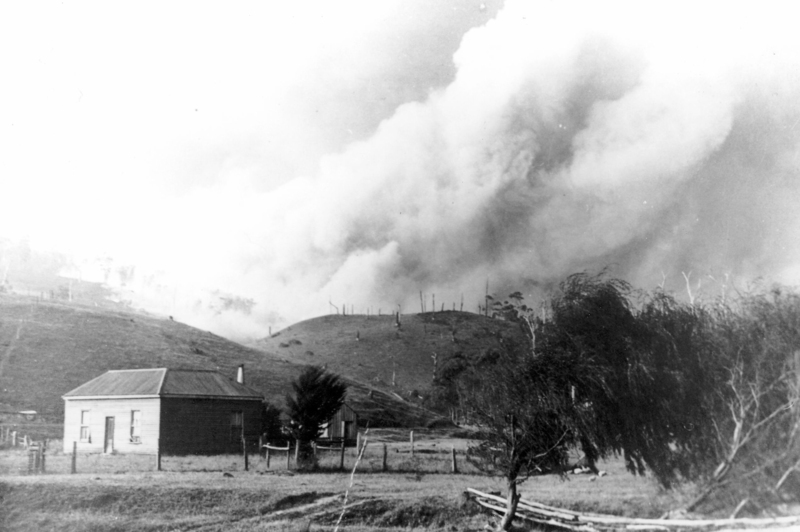 Several fires were deliberately lit in the ranges south of Colac in early January 1939. By 9 January, the Blue Gum forest behind Apollo Bay was aflame. The Forests Commission crews and local brigades fought as hard as they could with limited resources and men, but were unable to check the fires. 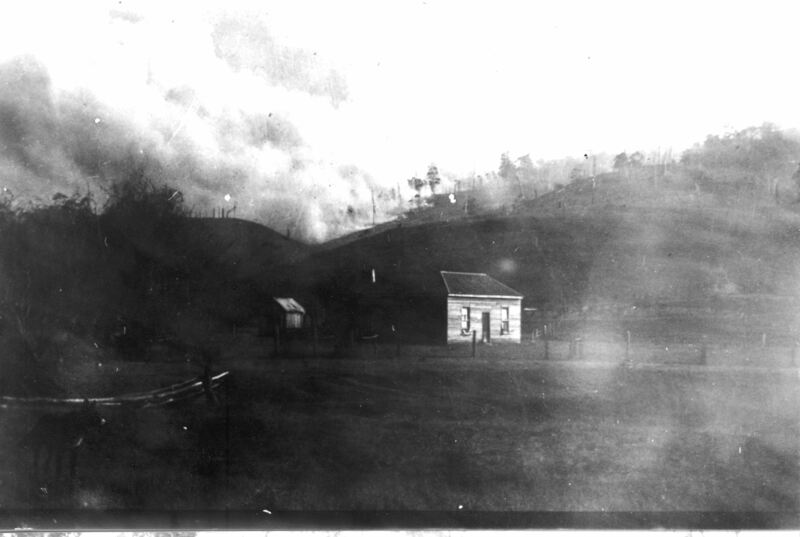 Many settlers on isolated Otway farms shrouded in smoke had no means of knowing that they stood in harm’s way. The fires continued south towards Lorne, leaping from hilltop to hilltop. Locals and tourists alike were forced into the sea as at least a score of houses burned. Here at least the fire was forced to stop, Bass Strait forming the only effective firebreak on that whole terrible day. The Otway Ranges was affected in many ways. The fires came at a time of great drought and economic Depression and the ramifications were felt for many years afterwards. But perhaps the story that illustrates best the sheer horror and tragedy of Black Friday was that of the four Robinson children of Barongarook. Jack Robinson, was a woodcutter working with his father in Barongarook when a fire swept over their house and took the lives of Jack’s four siblings. He was interviewed by ABC Oral History several years ago when he was 85 years old. Here is his story…. There was a fire burning well back for about a week, you could see the smoke going up. We never took no notice of it. About a week burning before it started. Around us the whole bush was alight. When the fire started to get really fast, you couldn’t breathe. You had to lay down to get breath. We never even thought the fire would come through like it did because the smoke and fires had been around for so long. Then the house caught fire and he told us to get outside and lie down on this patch of grass and we covered ourselves with old potato bags. As you lay still, to breathe, the fire went over you and after about 10 minutes the whole blast was over. The house and all went; we just had a patch of ground like that carpet there to lay on. We had no chance of getting out. The ones that were lost, that died were Theresa (14), Mary (12), Vera (10) and Paul (8).. Gloria was a baby of seven months at the time and Tom and Jimmy and Mother and Father and me, that’s all that survived. But the other kids that got lost, that died, they ran. My mother said to the kids, “Run for your lives” and ‘til her dying day she worried about saying that. She always felt bad about that, that she said, “Run for your lives”. If they’d all stayed together, they might have survived, she always felt. My mother put her body over Gloria, who was a baby at the time, and the baby went unconscious from the heat. We had to leave the young ones there because we couldn’t carry them out. Our feet were all burned from the fire and we could barely walk. They just lay there until early in the morning, then we went up there on a truck and picked them up to take them in to the morgue. We got some money off the government to build the new house. Father just got ahead and started to build that house, a brick house – made all the bricks himself. We only had a corrugated-iron house before, but the new house was a cement and brick house. And mother got him to put four windows in the front of the house for the kids – one for each of them. Tom, Jim and Gloria are the only surviving siblings today. “We had absolutely wonderful parents”, says Gloria, “ the story of the fires and the family’s loss has been with us all our lives, but you know our parents were very strong and somehow carried on and gave us a great life.” Their mother had written a heartfelt letter to her children expressing her thoughts and grief. This letter is too private to be shared publically but Gloria said it has given her great comfort over the years. Her mother also wrote poetry and her strength and resilience in the face of unbearable loss is a model for us all. “Perhaps we have become too soft nowadays….” Says Gloria. Judge Leonard Stretton’s 1939 Royal Commission was convened three weeks after the 1939 bushfires and his findings still inform our fire management practices. Graziers, sawmillers, government officials and local people gave details of their experience with the 1939 fires to the Royal Commission. The 1939 Royal Commission delivered visionary recommendations directly resulting in the formation of the Country Fire Authority and the fire legislation we have today. The following extract from the Royal Commission report written by Judge Leonard Stretton, who was selected to lead the inquiry into the 1939 Victoria bushfires, begs the question: what have we learnt? “To enable a report of full effect to be made, it would be necessary to … expose and scotch the foolish enmities which mar the management of the forests by public departments who, being our servants, have become so much our masters that in some respects they lose sight of our interests in the promotion of their mutual animosities. The field staff of the Commission is ludicrously inadequate. It must be stated as an objective fact that the Forests Commission has failed in its policy of fire prevention and suppression. The Commission’s officers regard the forest as a producer of revenue and for this reason and because their education appears to lead them to demand that no tree or seedling be destroyed except in the course of silviculture, they are averse to burning of any sort. The Legacies of family tragedy carries into the next generation until the stories stop. Here now in 2018 and at the age of 65, I tell my two children very little and I do not elaborate. The sheer horror of my family’s fate will never leave me, but I choose not to let it become the horror story I’ve had to live. My mother was nearly 17 in 1939 living at Nhill. My grandfather was a saddler. That holiday my mother got a waitress job in a tea shop so worked through those Christmas/New Year holidays. She had three younger brothers, Alex, Eric and Leon. My grandmother wanted to take them away camping for ten days so grandfather drove them to Halls Gap and set them up. Then he and my mother worked back home in Nhill. Mother said she was working to save up for a horse for ‘her boys’. The fires at first seemed mild, but enraged so quickly that grandfather put the trailer on the car and just drove to pack the four of them up. He managed this, but leaving their campsite, a burning tree fell across the trailer too close to the petrol tank and grandfather could not unhook the trailer so they could continue. He needed help so he grabbed all the blankets etc and put grandmother and the three boys in a low ditch and covered them all up, poured the water he could find over them and ran for help. He finally found two rangers in their car and they drove him back to where he’d stopped. The fire had rushed over them and all were so badly burned. Grandmother lay over her three boys and an ambulance was called and they were all taken to Stawell Hospital. Dear Eric, 13, died 14th Jan 39. Dear Rex, 8, died 28th Jan 39. My beautiful grandmother, Emma, died 25th Feb 39. My loved uncle, Leon 5, survived. Badly burned, he turned 6 in hospital, and was released Apr 39. He never spoke of his burns or the fire to me. My mother however never recovered emotionally and spent endless hours of talking to me about everything she knew. It was if I lived through it also. I had nightmares for many years after her ‘far too early’ death in 1978, aged only 56. My cousin Christopher Habel and I only three years ago finally put headstones where they are buried in the Nhill Cemetery. Since 1939 and up until 2015, nothing had ever been done about their graves. Still just two dirt mounds together. The two boys are buried together and grandmother to the right of them. Finally, they are now named and recognised as to who they are and how they perished. It will always be a mystery to Christopher and I as to why they were unattended for so long, but we have done what should have been done, and without judgement, we now feel they rest with their names for all to see. This grave was created in the memory of our grandmother and our two young uncles. ← New Advertising Kit Available Now!